Q: For the Christians now, after Jesus came, do we need to literally take a day of rest (sabbath) and keep it holy by not doing work? A: Great question! This is a very important and potentially massive area of study for the interested believer. A quick glance through a concordance, such as Strong's Exhaustive, will reveal that the Sabbath is mentioned at least once in 145 different verses of Scripture (I used my Bible searching software, BibleWorks 8 to find these references). While a true “Sabbath theology” can only be constructed and understood after careful study of all of these passages in their context, the question above can be answered without such in-depth consideration. For the purposes of this answer, we will cover a basic understanding of Sabbath theology with an emphasis on how this relates to the New Testament follower of the Messiah Jesus. If you are interested in a more in-depth study of the Sabbath as it was revealed through the Hebrew Bible (our “Old Testament”) you’ll want to get out a concordance and read through the many passages which describe the purpose, requirements, etc. The importance of the Sabbath in our theological understanding is difficult to overstate. As a theological theme, it is introduced in Genesis 2, and it is pervasive throughout the rest of the canon. In the revelation given to Moses on Mount Sinai (Exodus 20), written by the very finger of God (Exodus 31:18; 34:1; Deuteronomy 9:10), the Sabbath received the most “ink” – that is, when God spoke and originally wrote out the 10 Commandments, the Sabbath (4th Commandment) has more words than any other Commandment. Clearly, God thought it was pretty important. Sadly, most Christians do not understand the importance of the Sabbath. Either then or now. This misunderstanding either leads Christians to ignore this theological theme (bad), or to make it into something that it is not and was never supposed to be (even worse). One of the biggest, most prevalent and damaging misunderstandings about the Old Testament is that it was about externals. The reality is that no one (no one!) has ever been saved by anything other than the grace of God received through faith. The theme of salvation by faith is taught clearly in both the Old and New Testaments and is the basis for our faith (read the story of Abraham in Genesis and compare Paul’s teaching in Romans 4-5 for just one small example). Because Jesus fully understands these truths He was able to show that hatred is the same as murder (Matthew 5:21-22) and that lust is the same as adultery (Matthew 5:27-28). I’ve heard it said (wrongly) that the New Testament has re-iterated all of the other 10 Commandments except the Sabbath. I’ve also heard it said (wrongly) that the Sabbath is to be kept according to the Jewish understanding for Christians today since it has not passed away. So if these ideas are both inadequate, then what should Christians understand regarding the Sabbath? The substance belongs to Christ. The Sabbath was meant to teach us something (Romans 15:4) in regards to the reality of what we have in the Lord and Savior Jesus. To ignore the Sabbath is to ignore a major thread of theological understanding regarding what Christ did for all who believe. To lower the Sabbath and to make it about merely the “resting from our work” from sundown to sundown on Saturday is to revert back to a dead legalism which has never, and will never, save anyone from their sins or restore them to fellowship with God. It is precisely this last point which makes Seventh Day Adventism so dangerous. This particular group seeks to “keep” the Sabbath (see #20) in the same way that the Judaizer’s sought to preserve circumcision for the Gentile converts to Christianity – a movement that Paul vehemently opposed (Galatians 1:6-10; 3:1-29). By making the Sabbath about external regulations the heart of the commandment is lost, just like if I were to refrain from adultery but live a life with a lusting heart. By trying to “keep” the Sabbath they are actually lowering it! The attempt to preserve the commandment but failing to understand that the substance belongs to Christ is to miss the entire point. God has clearly, consistently, and repeatedly emphasized that we must find our rest in Him. The central doctrine of salvation by grace through faith in Christ points to a resting from our dead works and relying purely upon the grace of God. Observing the Law and the commandments did not make them holy. It can't make us holy, either. God is the One who does that. Because of what God had done, God gave them a sign to observe to remind them that He sanctifies. Should we remember that we don’t work to earn our salvation? Yes! We should work, therefore, out of a heartfelt gratitude to our LORD who sanctifies us through the blood of the Lamb. This is the point of what the Apostle Paul is telling us in Colossians 1:1 up to 2:16 where he says that no one is to judge you regarding, among other things, a Sabbath day! Hebrews 4 makes this link between the shadow of the Sabbath and the substance of Christ most explicit and is worth a careful reading in its entirety. In this chapter, we see that the heart was always the important issue in regards to the Sabbath and “entering His rest.” This wasn't done by keeping some external standard. It was done by faith. The external necessarily followed the heart but the heart doesn't necessarily follow externals. The relationship between faith and works has long been debated. The reality is that God saves individuals purely as a sovereign act of His grace (Romans 9:16) and is received by the individual through repentance and faith in Christ (Ephesians 2:8-9; Luke 5:32). God did this, so that we would glorify Him with our deeds (Ephesians 2:10). The Bible teaches that a “faith” that doesn’t “work” is dead (James 2:26). Working for the Lord and resting in the Lord are what are in view. Sabbath observance provided a constant reminder to rest in the Lord, just like the sacrifices performed at the Temple provided a constant reminder of the need for blood to be shed to cleanse us of our sins. 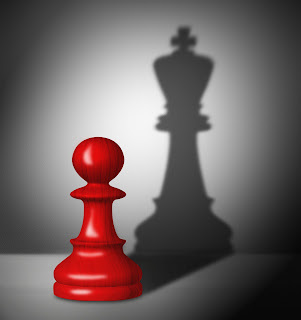 The Sabbath and the sacrificial system were both shadows pointing to the substance: Christ. They were both likewise fulfilled in Him. The blood of bulls and goats never took away sin (Hebrews 10:4). The Sabbath similarly points to a bigger reality than setting aside certain days on the calendar. So, is Sunday the "Christian" Sabbath? No. It does serve a similar purpose, but it's not technically the Sabbath. 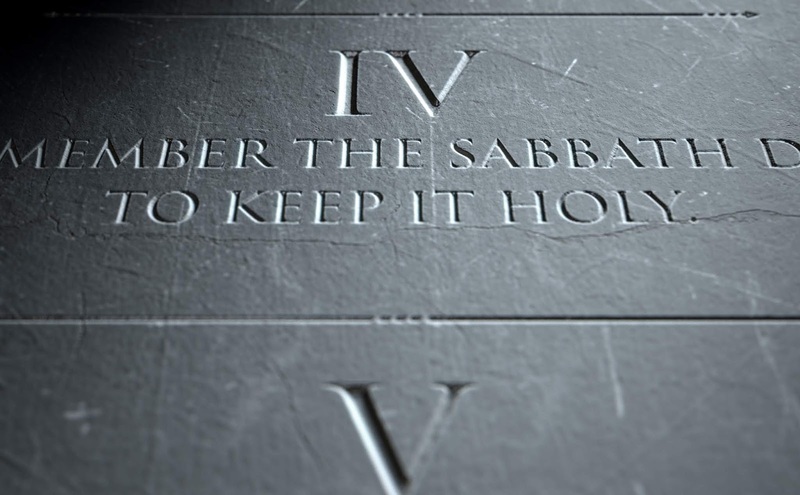 Should Christians revert keeping the Sabbath on Saturday? I don't think that's the point. Certainly, Christians can set aside the day to rest in the Lord and will likely find tremendous blessing in doing so. But those who do are not to judge those who don't, and vice versa. That's what Paul explicitly taught in Colossians 2:16. So, are Christians commanded to remember and keep the Sabbath some other way? I think yes. New Covenant believers aren’t called to mark one day for a Sabbath rest. We are called (see Hebrews 4) to enter His rest. Jesus lived the Sabbath, He didn’t “keep it.” Paul lived the Sabbath, which is how we can understand this tension that comes up constantly between his striving to work hard and simultaneous resting in the Lord and His grace. What is Paul’s exhortation? To work out your salvation with fear and trembling. And why does Paul exhort us to work this way? Because (or, “for”) it is God who is at work in you! That’s the Sabbath. Do your work but rest in God. By grace I am what I am (rest). I labored even more than all of them (work). Yet not I, but the grace of God with me (rest). Paul lived the Sabbath. And so did Jesus. That’s why Jesus was always getting in trouble by those external Sabbath-keepers who didn’t really understand Sabbath theology (See Matthew 12:12 and parallels). Jesus constantly rested in the will of the Father and went about doing His work. That’s living the Sabbath. As Christians, we are called to live the Sabbath. Resting in God because of what He has done for us, and knowing that we are always able to do the work He has called us to (even if it happens to be on the weekend!). To make the Sabbath about a day on the calendar is to diminish what God was showing us in His word and in His Son. It's an attempt to take hold of the shadow rather than the substance. Don’t keep the Sabbath. Live it. Very interesting. I am reading through Exodus for my daily study and the Sabbath keeps "poping" up. After reading your answer, I think it is cool, the way that God gave the Sabbath "law" after the people had been in "slavery" for so long. Rest in Him and experience freedom...nice job! thank you for this. i have heard so many conflicting views on the sabbath and never has it seemed right. i'm excited to live the sabbath!! You are definitely right about there being a lot of conflicting views out there! In reality, I haven't encountered anyone else who has articulated a view of Sabbath theology that matches what I've presented above... which kind of makes me nervous! There aren't really any new ideas (especially when it comes to our faith, once for all handed down [Jude 1:3]! ), but as I've continued to read the Scriptures and study this particular topic (especially when faced with the claims of Seventh Day Adventism), I believe the Lord clicked a light on for me. Keep resting in Him and seeking to grow in the grace and knowledge of the Lord!